More and more people are taking inflatable toys to beaches, but Surf Life Saving is warning that it's easy to be caught out by the conditions. 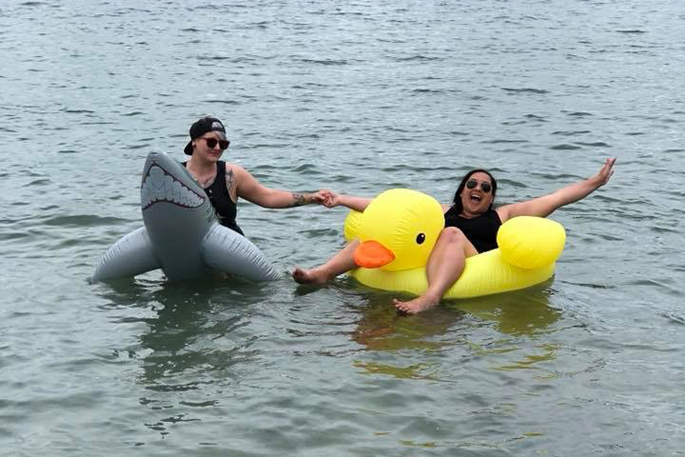 Belinda Slement from Surf Life Saving told Radio New Zealand's Summer Times that they are seeing more inflatable beds, swans and other toys on beaches. While the toys are great fun for people who are very close to shore where the waves are breaking, there could be trouble for those anywhere past this point in an offshore breeze. "When you're taking those things to the beach, making sure you know what direction the wind is, and trying to stay as close to shore as possible within your own depth, because those things get blown pretty quickly out to sea." There have been four preventable drownings over the holiday period. A lot of the drownings that happen across the country were the result of bad decision-making, says Belinda. That could include going swimming at an unpatrolled beach, not knowing what to look for in terms of rips, or swimming in conditions that were beyond someone's skill level. She says some of those very basic safety messages didn't appear to be getting through to some people. "It doesn't matter how much you drum it in, unless people take those steps to make that right decision, it makes our jobs really difficult."